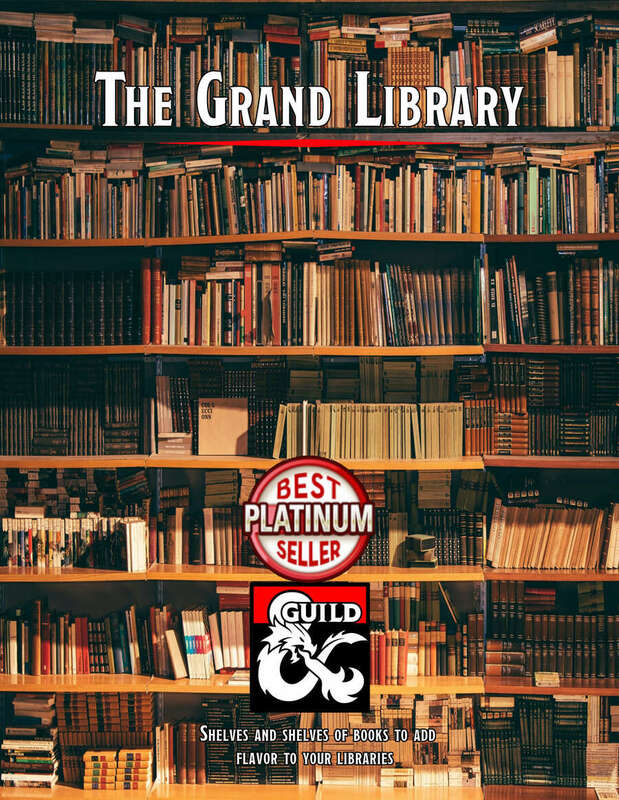 The Grand Library aims to help DMs make their libraries and bookstores feel more dynamic and alive by providing them with over 100 generic books that can fit into any location or setting. Each book comes with a description of the book's appearance and contents as well as a short extract. Some of the books also come with hidden effects. From advantage on a check to short-term madness, you never know what will happen when you peak into a random tome.